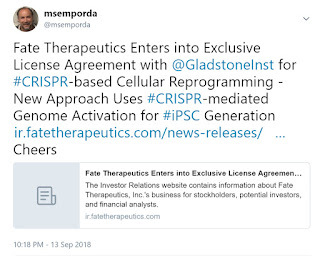 Fate Therapeutics, Inc., a clinical-stage biopharmaceutical company dedicated to the development of programmed cellular immunotherapies for cancer and immune disorders, today announced that the first patient treated with FT500 successfully completed an initial safety assessment. The patient received three once weekly doses of FT500, and the treatment cycle was well-tolerated with no dose-limiting toxicities or serious adverse events reported during the initial 28-day observation period. The universal, off-the-shelf natural killer (NK) cell product candidate is the first-ever cell therapy derived from an induced pluripotent stem cell (iPSC) administered to a patient in the U.S.
Two additional patients have also been treated with FT500 as a monotherapy in the first dose cohort of 1x108 cells per dose and are currently within the initial 28-day observation period. The FT500 clinical trial is a two-arm study in up to 64 patients for the treatment of advanced solid tumors. 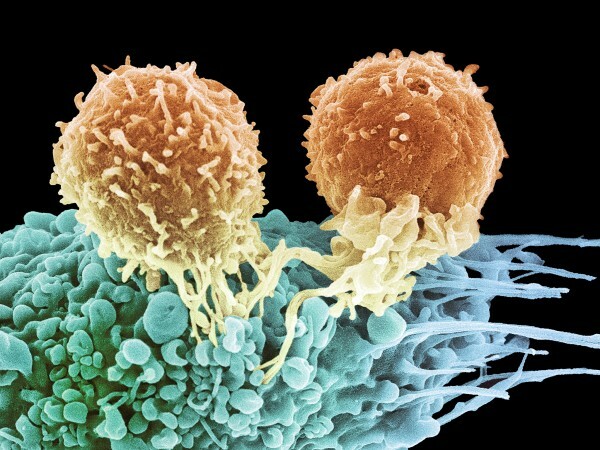 The study is designed to assess the safety and activity of three once weekly doses of FT500 as a monotherapy and in combination with one of three FDA-approved checkpoint inhibitor therapies – nivolumab, pembrolizumab or atezolizumab – in patients that have failed or have confirmed disease progression on checkpoint inhibitor therapy. Patients that are clinically stable following the initial 28-day observation period are eligible to receive a second treatment cycle. Today the Company presented preclinical data for FT516, its universal, off-the-shelf NK cell product candidate derived from a clonal master iPSC line engineered to express a novel CD16 Fc (hnCD16) receptor, at the 2019 American Association for Cancer Research (AACR) in Atlanta, Georgia. FT516 is the first-ever cell therapy derived from a genetically engineered pluripotent stem cell cleared for clinical testing in the world, and the Company is preparing to initiate clinical investigation of FT516 in the U.S. in patients with certain relapsed/refractory hematologic malignancies, including acute myelogenous leukemia as a monotherapy, non-Hodgkin's lymphoma in combination with rituximab, and multiple myeloma in combination with elotuzumab. While CD16 is naturally expressed on NK cells and mediates antibody-dependent cellular cytotoxicity, numerous clinical studies with FDA-approved tumor-targeting antibodies have demonstrated that patients with CD16 high-affinity variant 158V have improved clinical outcomes. However, only about 15% of humans are homozygous for 158V. Additionally, the expression of CD16 on NK cells in cancer patients can undergo considerable down-regulation, which significantly inhibits the cell’s anti-tumor activity. The novel CD16 Fc receptor expressed by FT516 has been designed to overcome these inherent deficiencies: it is comprised of the high-affinity 158V variant and is resistant to down-regulation. In preclinical studies using a B-cell lymphoma line, the Company showed that approximately 70% of peripheral blood NK cells down-regulated CD16 expression upon co-culture with rituximab, while CD16 expression on FT516 remained resistant to down-regulation. These differences resulted in a significant anti-tumor benefit in vivo where, in a human lymphoma cancer model, mice treated with peripheral blood NK cells and rituximab had a median survival time of 39 days as compared to mice treated with FT516 and rituximab, where the median survival time was not yet reached at 100 days. The Company also presented today at AACR new preclinical data for FT596, the Company’s first iPSC-derived chimeric antigen receptor (CAR) NK cell product candidate that is designed to concurrently target multiple tumor-associated antigens. FT596 is derived from a clonal master iPSC line engineered to express a proprietary CAR targeting CD19, a hnCD16 Fc receptor, and a novel IL-15 receptor fusion. In a mixed co-culture assay, the Company showed that the concurrent activation of the CAR and hnCD16 targeting modalities of FT596 exert synergistic anti-tumor activity. Increased degranulation (CD107a) and cytokine release (interferon-gamma and TNF-alfa) were observed upon concurrent activation of both the CAR and CD16 receptors in CD19+CD20+ Raji cancer cells with rituximab as compared to activation of each receptor alone, suggestive that dual antigen engagement may elicit a deeper and more durable response. Additionally, in a cellular cytotoxicity assay designed to model CD19 antigen escape, FT596 combined with rituximab was able to effectively eliminate leukemia and lymphoma cancer cells that were positive for CD19 antigen expression as well as those that were null for CD19 antigen expression. FT500 is an investigational, universal, off-the-shelf natural killer (NK) cell cancer immunotherapy derived from a clonal master induced pluripotent stem cell (iPSC) line. FT500 is being investigated in an open-label, repeat-dose Phase 1 clinical trial for the treatment of advanced solid tumors in up to 64 patients, both as a monotherapy and in combination with FDA-approved checkpoint inhibitor therapy. 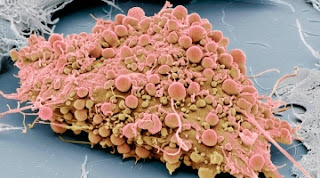 Despite the favorable response rates observed with checkpoint inhibitor therapy, the majority of patients do not respond and many responders relapse. One common mechanism of resistance to checkpoint inhibitor therapy is associated with loss-of-function mutations in genes critical for antigen presentation. A potential strategy to overcome resistance is through the administration of allogeneic NK cells, which have the inherent capability to recognize and directly kill tumor cells with these mutations. The Company’s proprietary induced pluripotent stem cell (iPSC) product platform enables mass production of off-the-shelf, engineered, homogeneous cell products that can be administered in repeat doses to mediate more effective pharmacologic activity, including in combination with cycles of other cancer treatments. Human iPSCs possess the unique dual properties of unlimited self-renewal and differentiation potential into all cell types of the body. The Company’s first-of-kind approach involves engineering human iPSCs in a one-time genetic modification event and selecting a single iPSC for maintenance as a clonal master iPSC line. Analogous to master cell lines used to manufacture biopharmaceutical drug products such as monoclonal antibodies, clonal master iPSC lines are a renewable source for manufacturing cell therapy products which are well-defined and uniform in composition, can be mass produced at significant scale in a cost-effective manner, and can be delivered off-the-shelf to treat many patients. 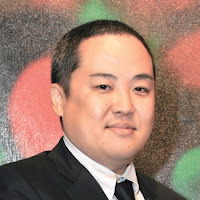 As a result, the Company’s platform is uniquely capable of addressing the limitations associated with the production of cell therapies using patient- or donor-sourced cells, which is logistically complex and expensive and is fraught with batch-to-batch and cell-to-cell variability that can affect safety and efficacy. 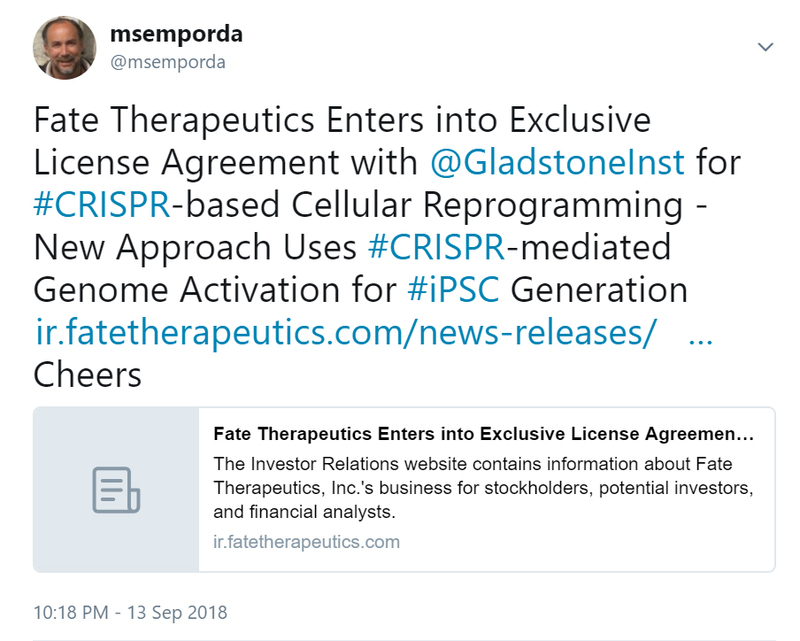 Fate Therapeutics’ iPSC product platform is supported by an intellectual property portfolio of over 100 issued patents and 100 pending patent applications. Fate Therapeutics, Inc. (NASDAQ: FATE), a clinical-stage biopharmaceutical company dedicated to the development of programmed cellular immunotherapies for cancer and immune disorders, announced today that the U.S. Food and Drug Administration (FDA) has allowed its Investigational New Drug (IND) Application for FT500, the Company’s universal, off-the-shelf natural killer (NK) cell product candidate derived from a clonal master induced pluripotent stem cell (iPSC) line. The clinical trial of FT500 is expected to be the first-ever clinical investigation in the U.S. of an iPSC-derived cell product. Also recent news from Fate on their partnership with Japan for CAR-T Cell Cancer Immunotherapies based on Fate's iPSC technology here. Further to the National Academies report on human genome editing, published in 2017, the self-monitoring governance directive on the sicence to resist human clinical trials for the moment has been challenged by a Chinese scientist who has announced the birth of twins genetically modified to resist HIV infection. At the conclusion of the 2nd Human Genome Editing Summit, where the above referred to announcement was debated, a statement by the Organizing Committee was made on the science (here). 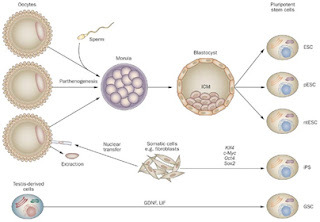 Related Blog posts on the developing technology can be found on the Genetics page - specifically Germline Science & Embryo Use and The Rise of Germline Science. A Kyoto University team plans to begin a clinical test using platelets grown from induced pluripotent stem cells to treat Aplastic anemia, a serious disease, sources with knowledge of the plan said Sunday. Kyoto University Hospital, in partnership with the Center for iPS Cell Research and Application (CiRA), Kyoto University, has planned physician-initiated clinical trials for Parkinson's disease that transplants dopaminergic progenitors1 generated from induced pluripotent stem (iPS) cells. The clinical trial notification was submitted to the Pharmaceutical and Medical Devices Agency (PMDA; the Japanese equivalent of the FDA) on June 4, 2018, and the clinical trials are scheduled to begin on August 1 this year. Note: The candidate subjects are required to live in Japan, have Japanese public health insurance and can understand the Japanese informed consent form. Selected patients will participate in both of the following clinical trials. a) To evaluate the safety and efficacy of transplanting human iPS cell-derived dopaminergic progenitors into the putamen3 of Parkinson's disease patients. b) To evaluate the safety and efficacy of using tacrolimus for Parkinson's disease patients who received transplantation of human iPS cell-derived dopaminergic progenitors into their putamen. Dopaminergic progenitors are generated from iPS cells prepared at the iPS Cell Stock for Regenerative Medicine4 at CiRA and then transplanted into the bilateral putamen of seven subjects (Parkinson's disease patients) at the Kyoto University Hospital. The source iPS cells were generated from third-party donor blood cells, meaning the transplantations will be allogeneic. Because of a possible transplant rejection, patients will receive a standard immunosuppressant, tacrolimus. Each subject will be observed for two years post transplantation. 4. The cell transplantation surgeryApproximately 5 million iPS cell-derived dopaminergic progenitors will be transplanted by stereotaxic brain surgery5 into the left and right sides of the patient's putamen. 1）Dopaminergic progenitorsDopaminergic neurons produce the neurotransmitter dopamine. In Parkinson's disease, these cells degenerate, resulting in decreased dopamine production. Dopaminergic progenitors differentiate into dopaminergic neurons. Animal studies have shown that transplanted progenitor cells will differentiate into mature dopaminergic neurons, resulting in efficient engraftment in the brain. 2）TacrolimusAn immunosuppressant commonly used following organ transplantation. 3）PutamenA region in the basal ganglia that is innervated by midbrain dopaminergic neurons. 4）iPS Cell Stock for Regenerative MedicineClinical-grade iPS cells are generated from healthy donors with specific cell types (HLA homozygosity) that are less likely to cause immune rejection in many people, and are stockpiled at CiRA following thorough quality check. 5）Stereotaxic brain surgeryThis neurosurgery involves drilling small holes on the patient's skull, through which a needle is entered or electrodes are embedded. One of the current therapies for Parkinson's disease, deep brain stimulation (DBS) surgery, is a type of the stereotaxic brain surgery. KYOTO (Kyodo) -- A Kyoto University research team said Monday it will begin this week a clinical test using induced pluripotent stem cells to treat Parkinson's disease, in what will be the world's first application of iPS to the progressive neurological disorder. The team led by Jun Takahashi, a professor at the university's Center for iPS Cell Research and Application, has received government approval and is soliciting several patients to participate in the trial to be conducted at Kyoto University Hospital, according to sources close to the matter. The team is scheduled to hold a press conference to explain the details of the clinical test later in the day. Parkinson's disease reduces dopamine-producing neurons in the brain and results in tremors in the hands and feet, and stiffness in the body. While there are treatments to relieve the symptoms, there is currently no cure for the disease. In the clinical test that will start on Wednesday, nerve cells derived from other people and stored at the university will be transplanted into the brains of patients to supplement damaged nerve cells.The team has already tested the process on monkeys in a preclinical study, in which the movement of the affected animals improved without seeing any tumors that could develop into cancer in the brain over a two-year observation period. The clinical trial will be led by doctors who will determine the safety and effectiveness of the test.Among other clinical tests of iPS cells, the government-backed Riken institute conducted the world's first transplant of retinal cells grown from iPS cells to a patient suffering from a serious disease in 2014. Osaka University is also planning a clinical test for treating heart failure by using a heart muscle cell sheet created from iPS cells. Australian stem cell and regenerative medicine company, Cynata Therapeutics Limited (ASX: CYP) announced that the independent Data Safety Monitoring Board (DSMB) has recommended that Cynata’s clinical trial of its lead Cymerus™ mesenchymal stem cell (MSC) product CYP-001 should progress to the next stage as planned. • Patient enrolment in Cohort B (higher dose cohort) now open at seven trial sites in the U.K.
Cynata’s clinical trial, which is the first clinical trial in which patients have been treated with an allogeneic, induced pluripotent stem cell (iPSC)-derived therapeutic MSC product, consists of a planned total of 16 patients with steroid-resistant acute graft-versus-host disease (GvHD). The recommendation to progress to the next stage (Cohort B) followed an independent review by the DSMB of the eight participants in Cohort A. Recruitment for Cohort A commenced in May 2017, and there are currently seven trial sites active and ready to enrol participants into Cohort B.
Steroid-resistant GvHD patients today have a dismal prognosis, where mortality rates are very high. At this time, seven of the eight participants in Cohort A are alive. One participant died after developing pneumonia, which is a common finding in recipients of bone marrow transplants and similar procedures.1 This death was not considered to be treatment-related. Participants enrolled in Cohort A of the dose-escalation trial received a dose of CYP-001 that was anticipated to be at the lower end of the effective dose range (one million cells per kilogram of bodyweight, up to a maximum of 100 million cells per infusion). In Cohort B, a further eight participants will receive two infusions of CYP-001 at a dose of two million cells per kilogram of bodyweight, up to a maximum of 200 million cells per infusion. Patient enrolment into Cohort B is now open at seven active sites across the U.K. and Australia. Cynata looks forward to providing further updates to the market as the study progresses. As with the sun rising in the East so have the first two pioneering programs using Induced Pluripotent Stem Cell (iPSC) technology for human clinical study. Independently initiated, but now strategic brethren, the Japanese and Australian efforts to provide a next gen proof-of-concept foundation have all the makings of a new dawn in Stem Cell Science, one that many hope will deliver on unfulfilled expectations for the field. 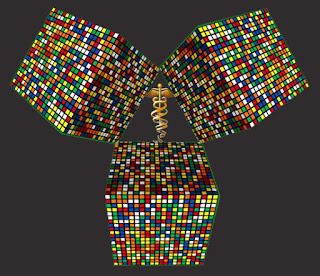 Methods and mechanics, protocols and parameters - these are but a few of the myriad of defining characteristics that a commercial cell product needs to elucidate in the highly complex rubik of molecular innovation and translational steps. 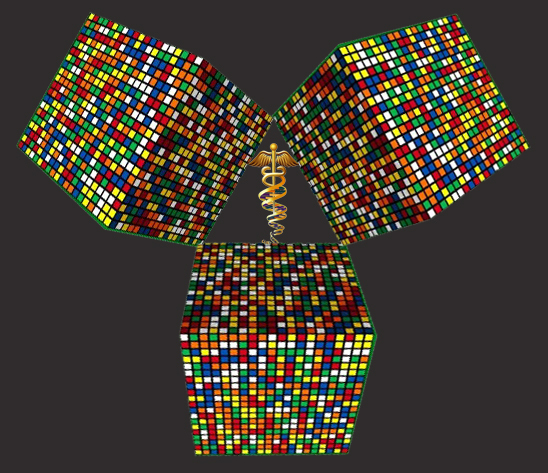 Barcodes if you will of cell product definitions underlying the very nature of scientific clarity and positioning that will pave the road moving forward and deliver safely on The N Factor of human trials with data. To highlight movement in this direction I’ve addressed a few questions to Dr. Ross MacDonald, CEO of the Australian stem cell company Cynata Therapeutics, on recent progress with their iPSC programs and business plan for this update review piece on the previous conversation I posted last year. 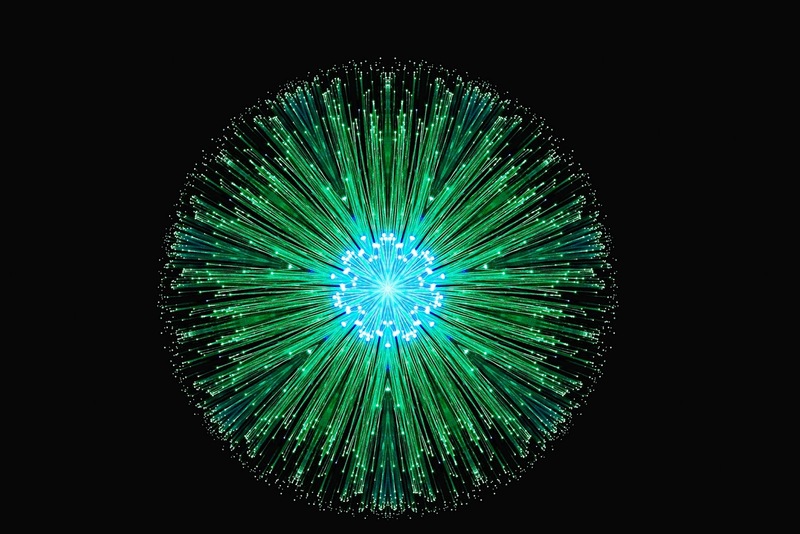 M - Cynata is poised to begin an important sector accomplishment with a first-in-man clinical trial involving a therapeutic product derived from Allogeneic Induced Pluripotent Stem Cells (iPSCs). Can you kindly provide a brief refresh for us on the cell type/technology being used, the target indication and the clinical trial sites prep/patient application/data timelines? R - We are using a clinical grade, human iPSC as the starting material. The iPSC cells were obtained from Cellular Dynamics International (CDI). From these cells we manufacture our finished product, a therapeutic mesenchymal stem cell (MSC) preparation, using our proprietary Cymerus™ manufacturing process. The target indication is steroid-resistant acute Graft versus Host Disease (GvHD) and the Phase 1 clinical trial is entitled: “An Open-Label Phase 1 Study to Investigate the Safety and Efficacy of CYP-001 for the Treatment of Adults With Steroid-Resistant Acute Graft Versus Host Disease”. The trial will aim to recruit approximately 16 participants who have undergone a bone marrow transplant or similar procedure, and were subsequently diagnosed with steroid-resistant Grade II-IV acute GvHD. The study centers are located in the United Kingdom and in Australia and we expect the study should conclude by the end of 2017. GvHD is a potentially fatal disease that often follows a bone marrow transplant procedure and occurs when the immune cells in the donor material (the graft) attack the recipient’s tissues (the host) as “foreign”. M - Your recent validating announcement that Cynata has signed a definitive License Option and Equity Investment Agreement with FujiFilm reiterates your strategy to develop and partner development programs with leading sector players. Could you review for us this strategy, the determining factors involved in the decision to sign a partner to your lead program at this stage and the synergy with FujiFilm’s Regenerative Medicine divisions moving forward. R - Cynata’s Cymerus technology enables the economic manufacture of a consistent and robust therapeutic MSC product. Given the very many potential therapeutic applications for MSCs (noting the >600 clinical trials underway using MSCs) it would not be possible for Cynata on its own to adequately exploit even a small fraction of the potential commercial opportunities. Moreover, the Australian environment for biotech companies is challenging for those seeking to become a fully integrated, sales and marketing enterprise. Accordingly, we believe the best path to ensure shareholders derive stellar returns is to partner our technology with those companies that have the resources, expertise, enthusiasm and global exposure to drive commercialisation of our products. Clearly Fujifilm is a very active participant in the regenerative medicine sector and has shown a willingness to invest very heavily to maximise the chances of success. They are an ideal partner for Cynata. We have however left open the opportunity to work with other companies as well. M - In your press release on the deal with FujiFilm you mentioned that the arrangement included “certain rights to other Cynata technology.” Are you at liberty to detail somewhat the nature of the technology and the rights granted. M - Currently Cynata has targeted UK/Europe and Australia as its initial trial territories and has received favorable green light feedback from the respective regulators. Could you comment on the developing regulatory framework to commence these types of pioneering iPSC studies in the US and Cynata’s plans for clinical work in the US market. R - We have already had very positive initial dialogue with the US FDA. We plan to progress these interactions this year, and we will certainly seek to include US centres in our clinical trials as we move forward. The Regenerative Advanced Therapy Designation process, which the FDA has recently introduced, is of great interest to us and potentially has numerous advantages, including accelerated approval, greater interaction with the FDA, assistance with study design, smaller trials, and ability to rely on real world evidence rather than solely data from formal clinical trials. M - As Cynata is a leader in the development of Pluripotent derived Allogeneic iPSC treatment technology is there a perspective you could share that puts into context the application specific potential for programs that seek personalized treatment options with Autologous iPSC technologies versus Allogeneic iPSC approaches. Is there a case for both, putting aside the cost issues for a moment, with regard to targeted therapeutic potential, safety and immunogenicity? R - I do think there is a case for both, but as always it will come down to (i) the weight of clinical evidence and (ii) cost. Autologous iPSCs may have a greater role to play in tissue engineering applications, where the aim is directly replace or repair damaged tissue at a site of injury or disease. With our Cymerus technology we have sought to provide a solution to the practical shortcomings associated with manufacturing an “off-the-shelf” allogeneic MSC product. We firmly believe that our approach, ie using iPSCs, will yield a huge cost and regulatory advantage, at least insofar as MSC therapeutics are concerned. The broader applications of iPSC-derived cell therapy products is being hotly debated and much research capital is being expended on developing the “super haplobanks” to make allogeneic products more practical. M - As previously reviewed, the IP surrounding your technology was invented by scientists at the University of Wisconsin and exclusively licensed to Cynata by the University’s IP management arm, WARF. You note that that these foundational patents are being expanded upon by the filing of additional Cynata patent applications related to progressive discoveries to the underlying technology. Could you provide some specifics at this stage as to the substance of the novel and unique aspects of the invention mentioned, given, I believe, these innovations are as yet unpublished. R - Indeed we are seeking to build the IP platform with additional patents around new inventions in our Cymerus technology. As these applications are in the early stages of prosecution we are unable to provide details at this stage. M - In respect to your other program assets, could you highlight recent developments that pertain to Cynata’s pipeline and any news on initiated research into new indications, such as the positive impact Cymerus™ mesenchymal stem cells (MSCs) could have for Asthma suffers. R - The data we reported late last year in the well-established chronic allergic airways disease model was certainly very exciting and accordingly we have been encouraged to further study the effects of our Cymerus MSCs in related models and potentially into the clinical setting. We also have active programs underway in cancer (through Harvard/MGH) and in cardiovascular disease (with Westmead Hospital/University of Sydney). With the success of our recent capital raising the company is now very well positioned to accelerate these ongoing programs as well as to consider other areas where we might be able to quickly build value. M - Finally, at present Cynata is a publicly traded entity on the Australian securities exchange (ASX). Do you have any plans in the near term to reach out to more investors through a UK or US listing? R - This is a question that stimulates much discussion around the boardroom tables of Australian biotech companies. Certainly US and European investors have a very high level of understanding of the potential risks and rewards of biotech and the availability and quantum of capital is typically higher than in Australia. However, an offshore listing is not for the faint hearted and some recent spectacular fails have made Aussie’s very circumspect. We have an open mind, but would prefer to really build a solid and supportive shareholder base in Australia first and thus have a solid foundation beneath us before we would contemplate a foreign exchange. UPDATE: See latest Cynata program news at "Cynata's iMSCs" blog tab. The mere mention of a possible stop-gap option to the grave medical realities of those that suffer, let alone a lifeline to a solution, is enough to get most patients and their families/friends talking. Clinical trials however are relatively few and far between for specific diseases and those that are available are currently akin to drawing the lottery where circumstances such as referral, timing, scale, proximity and onerous inclusion criteria set a very high bar to entry. The vast majority of patients don’t have any options. I’ll relay a representative case in point - a friend of mine was diagnosed recently with Stage 4 Melanoma, an advanced skin Cancer which is all but fatal in relatively short order. His doctors gave him the ticking clock and little hope. However, given his wish to live and determination to see his young son grow up he studied, turned over every rock and reached out. He landed a very rare spot as a tag along to a new immunotherapy trial. He was lucky, most are not, given he didn’t meet the strict criteria for official entry. The trial treatment saved his life. Hope is a cruel bedfellow with its constant draw of energy and resources from the very reservoir it seeks to fill. Yet without that flicker of a flame gasping for oxygen the very medical system built upon empirical data derived from clinical trials designed to advance knowledge wouldn’t exist. The system needs patients and patients need the system - both rely on the other and as such require inclusive practices to further the agenda of progress towards real solutions. N is a strong and decisive letter in our everyday language but in investigative medicine it’s a defining research statement which confers status and validity where quantitative analysis imbues significance and wields judgement on meaningfulness. For those not on the in, the N is translational science parlance for the number of patients treated and their data sets. The lower the N the more likely there will be variability in the eventual safety and benefit outcomes when applied to the patient population at large. While the larger the N the more significant the potential correlation in delivering a safe option and potentially treating the targeted disease indication. 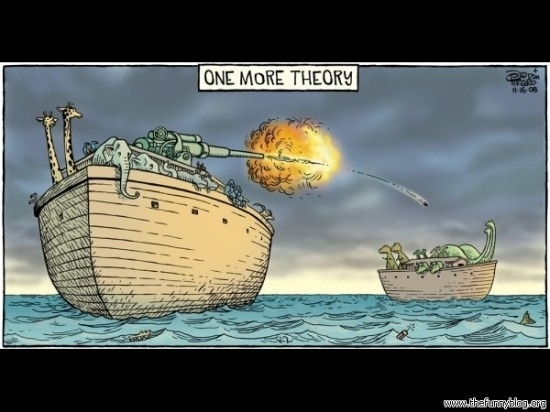 As fundamental as the N is to applying the scientific method to proving the safety and potential for wide scale application, it cannot be suggested to be devoid of meaning at any level, especially considering the human impact and nascent development of promising new therapeutic modalities for treating previously unmet medical needs. The mere fact that we will all suffer in one form or another from the debilitating conditions of age is enough to warrant more attention to the secondary benefits in N data given the lack of achieved endpoints of trialed drug interventions to-date. Combine the natural degenerative conditions of the aged with a population rife with chronic and acute medical issues that continue to overburden the system, leaving a significant population of those in need without a solution, and you have the argument for considered change. Breakthroughs in medical science indeed offer a real opportunity to effect change and the more that can be done to allow for inclusion and support for that transformative process to occur the more representative the N will be that correlates to real tangible wellbeing data logged for the betterment of the science as well as the patient. 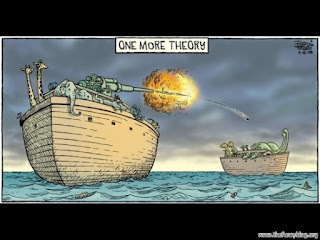 One of the most memorable images I can recall on the effect of catalytic dynamics for me during these years of scientific curiosity was the explosive result of sperm enzyme successfully impacting a human egg - almost Big Bang like in all its microscopic potential. One can now extend that impact phenomena analogy to the very pertinent research and translational effect Induced Pluripotent Stem Cell (iPSC) technology has had on the field of molecular biology and regenerative medicine. 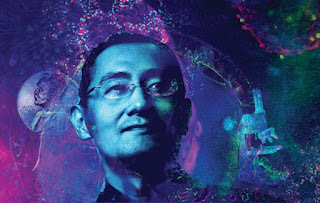 It’s been ten years since Shinya Yamanaka and Kazutoshi Takahashi opened the portal to a whole new way of thinking and practicing the Art of Stem Cell Science by announcing that embryonic like properties could be regained in adult cells through molecular reprogramming. Much has been written about this apex moment of foundational innovation which ushered in the era of mainstream adoption of reverse engineering techniques on human cells but as we celebrate the ten year anniversary of iPSCs the opportunity presents itself to reflect and celebrate the coming age of Pluripotent science, specifically iPSCs. Signals of Canada, a leading destination for "insiders’ perspectives on the world of regenerative medicine and stem cell research, written by scientists and professionals in the field" is hosting a "Blog Carnival" of which this article is one of a number being written covering the iPSC anniversary topic. Please click here to read what other bloggers think. Inherently complex the various Pluripotent states and the multitude of their progressively differentiated descendants, as they relate to human biological microsystems, have only begun to be explored and understood. The inherent processes by which these interconnected derivative cells work and communicate are by and large just now being decoded and mapped. 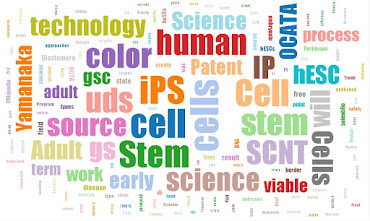 Although it’s been only ten years since the discovery of iPSCs and nearly 20 years since the human embryonic stem cells were first isolated the progress made to-date in translating Pluripotent science into real world clinical programs is very much the focus now of countless labs in the field, thanks in large part to the advent of “open source” iPSC technology. Prior to iPSCs the use of hESCs and the technology associated with its clinical translation was largely a specialty area limited in scope by funding, rules, regulations and IP. The advent of iPSCs changed that and with it the stem cell industry added a universal layer of potential. Whether it be using Pluripotent derived cells as tools or more notably to develop therapeutic cell candidates for clinical use those researching and developing applications using these cells are pioneering the way forward for the emerging era of next generation stem cell products. To put not too fine a point on it, we have only scratched the surface and in the next ten years I expect there will be a number of Pluripotent treatments on the market in various countries and many many more still in the clinic moving towards approval with positive results over standard of care or filling-in where there is currently nothing to offer patients in need. The topic of what can we expect to see on the frontline of the developing therapeutic market using Pluripotent derived cell products is often highlighted as a discussion point and rightly so given the limited public depth of awareness on the subject and the long standing promise by the sector as a potential basis for effective treatments. Notes: Representative of next gen concept using eye "organoids"
*The above listing is representative of the sector and is not at all comprehensive. Apologies to the many great programs that should be there also. hiPSC science has industry wide support globally and is a mainstream technology acceptable in jurisdictions in which other ES methods face challenges. Translational hurdles for hiPSC are specific to their reprogramming and to the adult to youthful conversion which forms the basis of the applied technology. This presents an additional safety component to the already strict regulatory oversight applied to the clinical translation of Pluripotent programs now and in the future. Will they be highly successful and achieve revolutionary paradigm shifting status and establish new standards of care in their go-to-market quests? That is a subjective question for each and every program and one which you could speculate on, yet it would be Hype to suggest definitively without established patient data. However, the indicative MOA and technology basis of those programs on the list point to a sound foundation to work from. In my opinion, Pluripotent science, specifically hiPSCs as a universal technology, has the very best chance to score across the board wins for the patient in areas of unmet medical needs. Some of the reasons I have doggedly believed that lie in the very nature of the plasticity of the sources, youthful phenotypes, cell expression and innate modulatory properties. Other reasons specifically relate to the field’s capacity to precisely derive and modify them in-vitro while perfecting their required derivative purities and expandability to consistently replicate them indefinitely in volume under strict quality control for regulated mass market applications. This potential, if successfully delivered together, will usher in a new Pluripotent Era in the Stem Cell Story. Certainly the perceived slow pace of translational activities has been a media drag on the sector, irrespective of the actual comparative timelines to move from bench to bedside. In retrospect there are still only a surprisingly small number of clinical programs in trials worldwide using Pluripotent derived cells, due in large part to stricter preclinical and regulatory standards applied to safety issues associated with these cell sources. So one would say we’re definitely due some momentum building inflection points…. Human embryonic stem cell trials were initiated in the US some 6 years ago on the basis of only research cell lines after lengthy preclinical research and safety checks. Subsequent small studies in Europe and Korea using hESCs added additional safety data. These trials paved the way for iPSCs yet still today the only enrolled clinical trial for iPSC derived therapeutics is in Japan. This pioneering trial had been on hold for over a year as the cell source analysis flagged possible genetic instability issues and was switched out from an autologous approach to a recently approved allogeneic cell line and is due to resume in 2017. The one patient to-date receiving the iPSC based iRPE cell sheet for Wet AMD has been reported to be in good condition with no apparent safety issues associated with her procedure. The rigorous standards of the need to use an NIH approved clinical grade cell line in the US has delayed the start of US trials on iPSCs and only just recently has one been announced as available. Pre-clinical lab work one would assume would now need to be done using that line for the clinical trial programs wishing to enter the clinic sometime in the future (yrs) or approval sought and granted for proprietary lines already used for clinical prep on existing developmental programs. This safety issue, albeit necessary and prudent, has forestalled the advancement of Western work and raised the bar from where hESCs entered the clinic. When discussing timelines and where this segment of the sector is headed it’s important to factor in these types of regulatory hurdles one must overcome on the road to a Pluripotent IND, clinical trial approval and human phased testing. 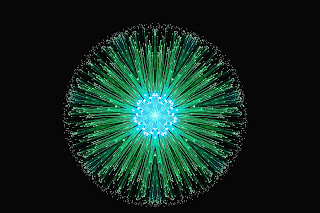 Trial design considerations require stringent oversight monitoring of Pluripotent trials and have and will slow down the translational best efforts of those academic and commercial players entering the space. Generally if it takes longer that the average drug development process to see stem cell based products enter trials and progress through the Phases and a therapeutic emerge from any stem cell specific regulatory approval pathway people will continue to be disappointed. A scaled approach to the sector’s product entry and exit criteria seems reasonable given the variance of risks associated with different stem cell products under some form of adaptive umbrella. Safety is of the essence and the nascent SC sector requires everyone err on the side of caution. This is the mantra I hear regularly and I can’t really say it’s not appropriate to a great extent. However, it is this writer’s opinion that the priority should not be overly weighted towards the slowest approach to protect the sector at the expense of patients willing to engage in regulated, open and comprehensive phase development programs designed to enroll and prove the science. Sufficient data can only be generated from a participatory system that is adaptive and accommodating not restrictive and burdensome by design or intent. A Quad Pregnancy demands care & attention. 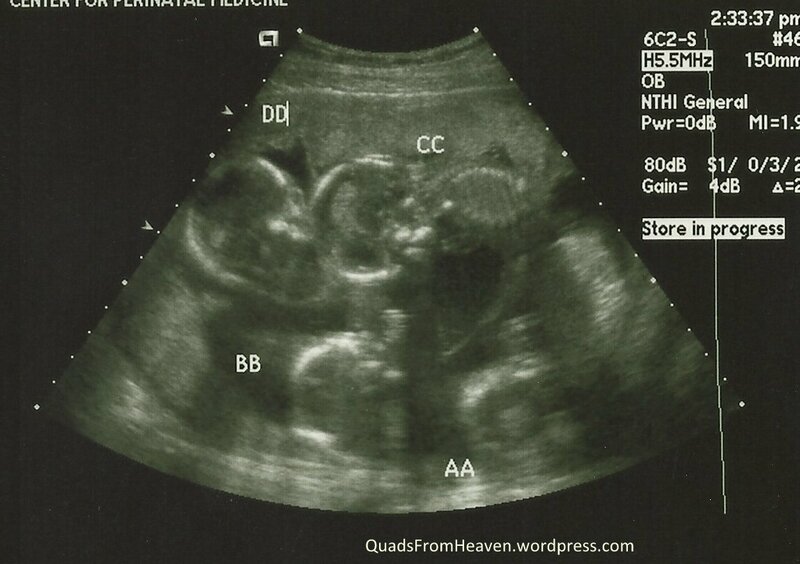 When I recently scanned the Pluripotent sonogram I saw some Art where 4 heads appeared! 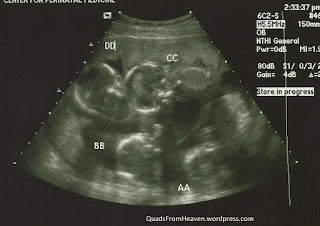 Unlike our shock horror double take when 2 appeared in my wife’s scan, I was glad to see the 4 represented there, happily squished together and well. One seems to be growing bigger at the expense of a couple of the others but by and large it’s a Bridge Gang willing and able to take on the challenges when alive and kickin. I personally look forward to seeing them all born healthy and grow, in addition to their Olympic caliber Adult cousins. That would give us semi-oldies the best chance when it´s our turn to ask for help from those wise and experienced in the Jedi ways of healing. 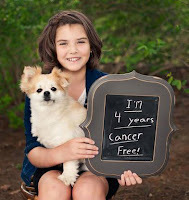 This is where Advocacy for Cures comes in. Hope is a powerful force and will always be there for patients in need. Unfortunately the reality is that most next generation Pluripotent cell solutions are still a few steps away, if not more, for those that suffer. High science, low science, no science - too many people continue to be excluded, lack alternatives, suffer & die from disease. Stem Cell Science offers potential solutions and requires stakeholders to rally around programs and data that deliver real world results, even marginal benefits over existing options while awaiting more advanced solutions. To conclude I have reported on the stem cell industry, specifically the Pluripotent segment for many years, and it has been easily influenced by sentiment and competitive currents rather than sharpening its aim on achieving sector growth. What we all care about most are real solutions for the long list of conditions that continue to ail us and for those that we love. Rather than future technology leading, current programs built on the foundation of pioneering efforts in both the Adult and Pluripotent fields need to be clinically accessible and then successfully delivered widely. Supporting and driving all safe and effective stem cell solutions will propel the entire sector forward. Safety with pace, open and inclusive. Driving patient centric solutions forward as a community, in a modernized regulatory environment, by design and for the people. The Niche, P.Knoepfler: "Yamanaka's baby turns 10 so here's a top 10 list of IPS cell hot button bullet points"
Masayo Takahashi - "Hope - Yes" & "Patients First"
c 2014 msemporda. Picture Window theme. Powered by Blogger.